How much the stubbornness of Monti’s government to fund the F-35 factories damaged Italy and Eurozone? In 2001, F-35 JSF (Joint Strike Fighter) Program started by a ‘successful’ Lockheed X-35 project for a initial expected cost of 40 million dollars and a production of 3,000 jets for USAF / U.S. Navy / USMC and another 2,000 for some partners (source http://www.aereimilitari.org). Italy was involved as a “second level partner”, setting up a line of construction and assembly, which would release much of the F-35 destined for Europe and other countries, such as Turkey and Israel, including only twenty F35 for Italian Navy. A rich business for our industries and – on 28th May 2007, at the Defense Ministry in Rome – the Secretary of Defense, Lorenzo Forcieri, met the President of the Province of Novara, Sergio Vedovato, to determine the ‘settlement of the assembly line of the F35 Joint Strike Fighter aircraft at the little military airport of Cameri (Piemonte Region). A small-town dream cherished for decades, assuming anyone wish spent money and time in Piemonte to turn a short track – at time closed by fog for several months a year – in the largest airport in Europe thanks to the construction of the largest NATO base for military aircrafts. And that Prodi government was in hands of a lot of members of parliament and secretaries of State by Piemonte as Cesare Damiano, Livia Turco, Fausto Bertinotti and Paolo Ferrero – all coming by the Confederazione Generale del Lavoro (the former communist Trade Union) – and there was really no wonder that the project went to the Novara, where some millions euros of public money was ‘invested’ to create from nothing an industrial district while – elsewhere – many industrial districts were being dismantled on relevant costs: the same Romano Prodi dismatled the public industry in South Italy, as president of I.R.I., ten years before, and he came in Primaries claiming this success. A lot of money and work that has to benefit just the Novara province and some nearby, where were in crisis the car and textile industries, the former communist trade unions and an expensive welfare system. Not surprisingly, Luisa Maria Crespi, the mayor of Cameri, said “thanks to the initiative of the Province, from today we will be able to respond to our citizens’, as confirmed by the mayor Bellinzago, Mariella Bovio,’there are important employment guarantees for an area like ours who lives a severe crisis’. The first doubts on plane and investments became apparent in 2009, when the average per aircraft costs were sketched to 62 and then over the 100 million dollars. 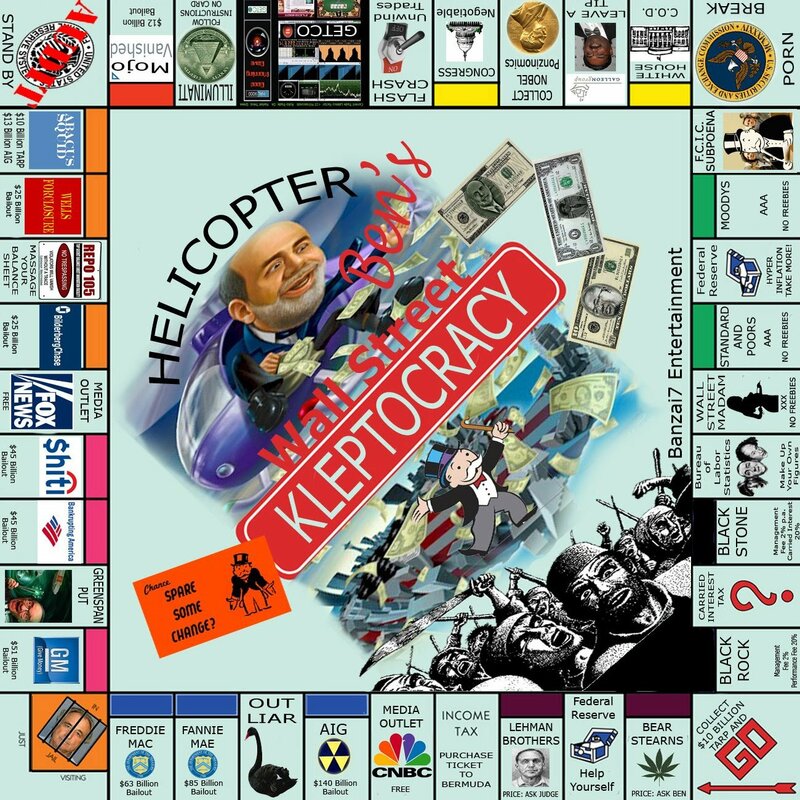 Utmost caution, if at the beginning of 2011, the Washington Post announced the need to recapitalize by 20% ($ 10 billion) and experimental design, half of which became necessary to lighten the plane, because flying at full load affects the key performance of the aircraft. Or when (Jan 08, 2011 – remember this) Secretary of Defense Robert M. Gates announced a series of efficiencies decisions designed to save the Department of Defense more than $150 billion over the next five years primarily by reducing overhead costs, improving business practices and culling excess or troubled programs, like the short take-off and vertical landing (STOVL) variant of the F-35 Joint Strike Fighter placed on the equivalent of a two-year probation because of significant testing problems. So the contracts for F35 were gradually withdrawn by partners and Italy – where they were tobe built – missed a big deal: 85 F-35A for the Dutch Koninklijke Luchtmacht,some dozens for Danish Flyvevåbnet and Norwegian Kongelige Norske Luftforsvaret, then the good-bye to 116 F-35A for the Türk Hava Kuvvetleri and 150 F35B for the British Royal Air Force which preferred modify ‘her’ aircraft carriers and buy catapult-launched F-35C . Meanwhile, the Berlusconi government did not give the consent for sixty F35 – provided over the first tranche of 22 F-35B for the Italian Naval Aviation, already ordered – and cut off an order of 2 billions euros for 25 Eurofighter (Aeritalia / Finmeccanica). Soon after, for other trends, the spread of Italian bonds dramatically rose, the blame was charged to the government and soon after Mario Monti placed on Italian national budget dozens and dozens billions euros of expenses for 2012 and next years to to commission 131 jets to Novara F-35 industries (Dec 06, 2011 – remember this), while Italian debt exploded, a large part of welfare was cut or delayed and taxes went nearby 50%. Not minus of half million of senior workers were dismissed after 30 or more years of regular work without any annuity or social help, disability rights went to enjoyment only after the insurance had recognized them and not when they were initiated, a lot of ​​graduates at work in the call centers for $ 800 a month, a Nation in recession losing 10-15% of GDP, millions of young families unemployed, companies in the knee, failed or fled abroad. Suicides, people self burnings for protest, millions in line for food and help by charity centers. 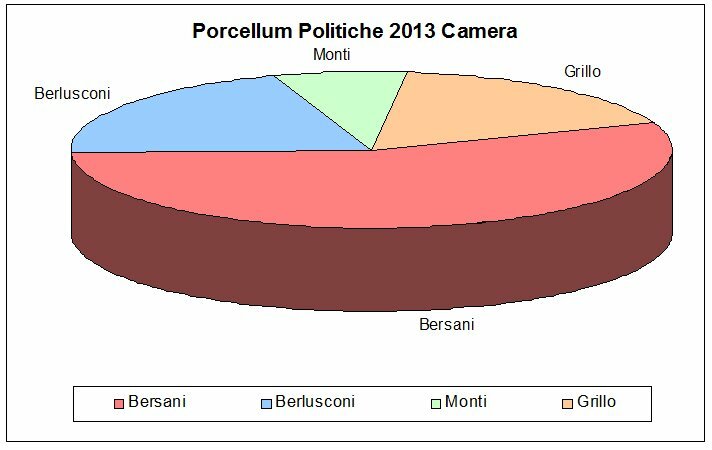 These were the numbers for 2012 in Italy. Just two months after (Feb 02, 2012) the Defense Secretary – Admiral Di Paola – wisely announced the cut of the F-35, reduced from 131 to 90 jets, and April 6 the government led by Mario Monti decreed the reform of Defence confirmed that the cutting of the F35 Joint Strike Fighter, with a reduction in expenses of 5 billions euro for 2014. Of course, this economy was not destined to unlock pensions or protect the disabled and restart the occupation, was not destined to poor families, were not reduced taxes and businesses continued to close, military expenses were reduced for 33 mld. Recession went nastier, but Italy began proudly a program to become the second-third largest industrial power for stealth attack fighter – as it relates to the NATO – and one of the first five countries in the world for the ability to “first air strike “… while Italian Constitution ‘rejects war as an instrument of aggression’. So, Mario Monti continued in 2012 to spend the few public money available for the production of first strike stealth fighters, in USA the test on the jets gone really bad. Lately, in February 2013, the Pentagon’s chief testing office based at the U.S. military’s Eglin Air Force Base in Florida reported that radars that don’t work, blurry vision from the aircraft’s sophisticated helmet, inability to fly through clouds during the tests done from September to November 2012 . Does anyone believe that the Italian government and Italian developers were not fully informed – in real time – during 2012 of a long series of negative tests? If in October 1, 2013 Defense One announced a “recent report from the Pentagon’s internal watchdog reveals that the next gen fighter jet is plagued with hundreds of issues. The Defense Department’s Inspector General conducted a series of quality assurance assessments that found the Joint Program Office and Defense Contract Management Agency performed “inadequate oversight,” failing to adhere to widely adopted quality management protocols while losing control of contractors that have already sunk an estimated $400 billion taxpayer dollars into what is the most expensive weapons system ever developed by the U.S. government”, why Mario Monti’s government took no account of this in drawing up the law of the National Account law and Spending Review for the 2013 and 2014, easing taxes and allocating resources for senior workers and employment for young people or for help to families? As known, the last days news announced a jet that caught fire during takeoff and lost pieces from the base of Eglin, Fla. and the Pentagon has grounded all F-35, definitively confirming the many doubts and cautions on the program, and we can imagine the panic in Novara and in Piemonte. And – speaking of Italy, for the F-35 – there is also another thing to know. In Spring 2012, Italy planned to buy up to 90 F-35, about 60 of the A model -take off from the ground – and 30 of the B model – vertical takeoff – for the aircraft carrier Cavour because, since the WWII ArmisticeTreaty, is not allowed to haveaircraft carriers with catapult systems. In fact, the C model – catapult takeoff – will made just in USA. The question is ‘WHY’ was the Mario Monti’s government spending mountains as blocking valuable resources for 30 vertical take-off F-35B, while this variant, until last year, was not there, prototypes were not working, as Secretary of Defense Robert M. Gates placed in probation for two years the troubled project of a short take-off and vertical landing (STOVL) variant of the F-35 Joint Strike Fighter because of significant testing problems, Great Britain changes ‘her’ takeoff systems on carriers. The first successful take off test was conducted only on May 10, 2013 to NAS Patuxent River, Maryland. So, the Mario Monti’s government has spent billions of Euro, catched with unsustainable taxes, while cutting the present and the future of so many people for a weak jet (F35A) that currently does not exist and another (F35B) that practically there never was. A case that is more reminiscent of the financial accounts of the Soviet Union than any lobbystic or helpful welfare approach to a financial crisis. I do not believe such a misdeed or a ‘cospiration’, as it means in Italy. Just personal stubbornness and another one collateral damage by a “democratic former communist” trade union and his heavy lobby in leftist parties, not forgetting that colonization-like Italian unification acted by a financially burned Piemonte and Vatican, between 1860-1918. I just hope that – after a so big flop – just anyone will start to not consider Mario Monti a reliable reference for Italian state of art, leading a long memory of Italian F35 story and of the many mistakes made in the management of a not only financial crisis of the former sixt GDP of the world actually impoverished to ten-twelwest position by stalling and recessive government action in 2012. Mistakes like to fund for billions an inexistent jet in Piemonte – stronghold of former communist trade unions – while those billions were essential to not block the turn over and cut the welfare state for an entire nation during a hard crisis and leave to industry/commerce those really precious resources needed to avoid the recession that still plagues Italy, brought down the GDP and – consequently – afflicts the Eurozone and the European inner relationships. And, please, … wish anyone note the failure of the Klein-Monti model when applied in a real system? Era il 3 gennaio 2012 quando questo blog spiegava (link) perchè gli F35 erano un flop annunciato e perchè si ‘dovevano’ fare. Tutta la storia inizia nel 1996, quando gli USA (e la NATO) avviarono il progetto di un caccia a lungo raggio con complete caratteristiche Stealth, tra cui la capacità di trasportare l’armamento in stive interne e sistemi elettronici capaci di inibire la difesa a terra: un nuovo velivolo “invisibile” da usare nella fase del “first strike”, quando le difese nemiche sono complete ed attive. Nel 2001, il progetto Lockheed X-35 fu dichiarato vincitore e veniva avviato il programma definitivo con la sigla F-35 JSF (Joint Strike Fighter), con un costo di produzione per ciascun esemplare inizialmente valutato intorno ai 40 milioni di dollari. Inizialmente, era prevista una produzione di circa 3.000 velivoli per USAF/US Navy/USMC e di altri 2.000 per i vari partner internazionali (fonte http://www.aereimilitari.org) tra cui l’Italia che doveva partecipare come “partner di secondo livello”, allestendo una linea di costruzione e assemblaggio, da cui sarebbe uscita buona parte degli F-35 destinati all’Europa e ad altre nazioni, come Turchia ed Israele, tra cui solo venti F35 destinati all’Italia. Un piatto ricco e, così, accade che il 28 maggio 2007, presso il ministero della Difesa a Roma, con l’incontro tra il presidente della Provincia di Novara, Sergio Vedovato, e il sottosegretario alla Difesa, Lorenzo Forcieri, per determinare l’insediamento presso l’aeroporto militare di Cameri (NO) della linea di assemblaggio degli aerei F35 Joint Strike Fighter. C’era il Governo Prodi, con i piemontesi Damiano, Livia Turco, Bertinotti e Ferrero ai massimi vertici del potere, e, dunque, non c’è davvero da chiedersi perchè andò a Novara quel progetto industriale in cui si investì un milione di euro di denari pubblici, poi lievitati, sembra, ad oltre cinque. Una marea di soldi e di lavoro che deve andare a beneficare l’indotto piemontese, azzerato dalla crisi dell’auto e del tessile. Non a caso, Maria Luisa Crespi, il sindaco di Cameri, dichiarò «grazie all’iniziativa della Provincia, da oggi saremo in grado di dare risposte ai nostri cittadini» e, come confermò il sindaco di Bellinzago, Mariella Bovio, «sono importanti le garanzie occupazionali per un territorio come il nostro che vive una grave crisi nel settore tessile». I primi dubbi sul’aereo e sugli investimenti si palesarono nel 2009, quando i costi da 40 iniziali erano schizzati prima a 62 e poi oltre i 100 milioni di dollari di media per aereo. Come riportato da Stato-Oggi, “il raddoppio dei costi, dagli originari 65 milioni di dollari ad esemplare, ha indotto alla prudenza il governo italiano” e “il ministro della Difesa, Ignazio La Russa, al salone aerospaziale di Farnborough, riferendosi al programma, ha aggiunto: “Siamo molto cauti, stiamo verificando”. Infatti, le commesse per la fabbrica di Novara vennero progressivamente ritirate, prima quella dei 85 F-35A per la Koninklijke Luchtmacht olandese, poi si defilarono la Flyvevåbnet danese e la la Kongelige Norske Luftforsvaret norvegese, poi addio a 116 F-35A per la Türk Hava Kuvvetleri ed a 150 F35B per la Royal Air Force britannica che preferì optare per gli F-35C con decollo a catapulta modificando le proprie portaerei. Intanto, il governo Berlusconi non dava il placet per la sessantina di F35 previsti oltre la prima trance di 22 F-35B per l’Aviazione Navale italiana, già ordinati, e aveva tagliato una commessa di 2 miliardi di Euro per 25 Eurofighter (Aeritalia/Finmeccanica), azzerandone la terza trance. Subito dopo, per altre congiunture, lo spread dei titoli di Stato salì a dismisura, la colpa venne addebitata al governo in carica e subito dopo Mario Monti – che aveva tagliato qualunque spesa pubblica e anche un tot di aspettativa in vita di qualcuno – trovò decine e decine di milardi per avviare le trance in sospeso degli F35 per l’Aereonautica Militare e aggiungerne anche una quarantina in più, visto che i costi industriali a Novara sarebbero esplosi senza le commesse nordeuropee. Fu così che da 22 caccia per la Marina arrivammo ad un programma di aerei da combattimento che trasformava l’Italia nella terza potenza NATO per quanto relativo i caccia d’attacco con copertura Stealth ed il quinto paese del mondo (dopo USA, Gran Bretagna, Russia ed Israele) per capacità di “first strike”, mentre la Cina Popolare aveva davanti a se almeno altri 15-20 anni dal creare un’aviazione militare temibile. Una scommessa risicata basata sulla capacità dei progettisti di pervenire ad un aereo affidabile ed efficace, dopo che, non appena realizzato il prototipo industriale nel 2009, ci si era resi conto che qualcosa era andato storto nel concept stesso del velivolo. Intanto, mentre in Italia la grande stampa eludeva la querelle, ma saggiamente qualcuno iniziava a sospendere le commesse, il Washington Post raccontava di diversi incidenti tra cui quello di una perdita d’olio in volo, fino al grave incidente dei giorni scorsi, con un aereo che ha preso fuoco e perso pezzi durante il decollo dalla base di Eglin, in Florida, e il Pentagono che mette a terra tutti gli F-35. E siccome al peggio non c’è mai fine vale la pena di chiarire qualcosa sulle commesse che Mario Monti volle a tutti costi con miliardi che ci avrebbero permesso di pensionare e rilanciare l’occupazione. L’Italia ha in programma di acquistare fino a 60 esemplari del modello A a decollo da terra e 30 del modello B a decollo verticale, per la portaerei Cavour (fonte La Repubblica), visto che il Trattato di Armistizio – quello della II Guerra Mondiale – ancora oggi non ci consente di avere portaerei a catapulta. Il ‘peggio’ è che la variante F-35B, quella a decollo verticale, fino all’anno scorso non c’era, non funzionavano i prototipi. Il primo test di decollo con successo è stato effettuato solo il 10 maggio del 2013 al NAS Patuxent River, nel Maryland. Ebbene, quando nel 2011 e 2012 le Leggi finanziarie andarono a prevedere assegnazioni di miliardi per gli F35-B, i prototipi di quei velivoli neanche si alzavano da terra, pardòn dalla tolda. Soldi spesi o tenuti fermi mentre, in nome della lotta agli sprechi, un premier non eletto – Mario Monti – negava spietatamente diritti assistenziali e previdenziali a persone anziane e malate. Si fosse pervenuti ad un investimento teconologico e occupazionale, parleremmo dei danni collaterali della ristrutturazione del capitale – e passi pure – ma non si può transigere su chi ha sprecato denari e angariato i deboli per un aereo che non ci sarà e uno stabilimento di Cameri che rischia di andare in cassa integrazione prima ancora di aver avviato per intero la linea di produzione. Forse è per questo motivo che i nostri media hanno finora evitato di parlare del flop F35: sarebbero la prova conclusiva di un fallimento generale delle politiche attuate da Mario Monti, oltre che un ulteriore lato oscuro su come si sia pervenuti alla sua nomina a senatore a vita prima e a premier dopo. Se i soldi impegnati per un aereo che non c’è – frutto della reverenza di Mario Monti verso ‘certa sinistra elettoralmente utile’ e del tutto scollegati sia dal salvataggio delle banche sia dalla questione Finmeccanica – fossero stati destinati al turn over generazionale e alle imprese, avremmo avuto la dura recessione italiana, il crollo del PIL e lo sbilanciamento dell’Eurozona? Expo 2015, dove andrà la politica italiana? E’ l’ora dei Cinque Stelle? E’ un vero peccato che i diversi filoni di indagine (Scaiola, Greganti-Frigerio) siano arrivati a conclusione ieri, con gli ordini di cattura, e non diversi mesi fa, prima del congresso PD o della frattura FI-NCD. Ma è anche una gran fortuna. Ieri, avremmo avuto l’agognata (dagli italiani) sfida all’OK Corral nel PD e nel PdL con la conseguente corsa alle urne senza neanche una legge elettorale. Oggi, con tanti dinosauri candidati all’ultima corvè delle Europee, la ricollocazione fino alla dismissione è assicurata almeno per una parte di coloro che ci hanno governato/amministrato (così male) durante il recente ventennio. Ed, intanto, c’è una legge elettorale e c’è almeno un candidato – Matteo Renzi – da contrapporre a Beppe Grillo, dato che in democrazia bisogna essere almeno in due. Quanto al Centrodestra, ecco dimostratisi i danni causati dall’ostinazione di Silvio Berlusconi nel suo populismo delle Grandi Opere e nel suo partito di big ridotti ad eterni colonnelli senza un nemmeno generale. Intanto, dopo l’avvio del nuovo Mani Pulite i sondaggi raccontano di un elettorato che per almeno un terzo prevedibilmente cambierà voto. Da domani si entrerà nel silenzio elettorale e questo mistero sarà rivelato solo dalle urne. Probabilmente, il Partito Democratico non dovrebbe subire un serio contraccolpo, grazie ad un elettorato consolidato, come il M5S ne dovrebbe essere certamente avvantaggiato, trovandosi già da tempo a cavalcare l’antipolitica. Cosa accadrà nel Centrodestra, nessuno può prevederlo: da un incremento dell’astensionismo ad una corsa verso la destra estrema e il movimento di Beppe Grillo. Peccato che Scelta Civica ormai definitivamente associata al nome di Mario Monti e che la debacle di Oscar Giannino abbiano tolto un riferimento liberale agli italiani. E sempre parlando di ‘sfide all’OK Corral’ provate solo ad immaginare cosa ne sarebbe l’Italia se avessimo a governarci un intransigente esercito di ‘common people’ come quello del Movimento Cinque Stelle, mentre ci sono da ristrutturare le più importanti infrastrutture giuridiche ed esecutive dello Stato Italiano. Il tutto con un PD impegnato nella rottamazione, il centrodestra nel caos e un 40% degli italiani che non votano, ma sono più o meno dichiaratamente ‘a destra’. Se questi sono gli affarucci del cortile di casa nostra, ben peggio vanno quelli dell’Italia all’estero, con i soliti scandali ‘a venti giorni dalle elezioni’, le insormontabili resistenze a riformare enti, giustizia, università, sindacato e sanità … dulcis in fundo l’Expo 2015 di Milano, ancora cantiere a cielo aperto e – al momento – bloccato dagli arresti, e, soprattutto, un premier Matteo Renzi che dovrà necessariamente modificare la maggioranza che sostiene il suo governo proprio mentre si accinge a presiedere l’Europa. Finora il Movimento Cinque Stelle si è alimentato con il voto di protesta ‘a sinistra’, ma il suo ‘non sostegno’ al governo ha incluso anche l’astensione dei propri parlamentari in sede di Commissione anche sui tanti provvedimenti utili che sono stati fatti finora. Una prassi decisamente scorretta, come richiamava il sindaco PD Michele Emiliano su Rai3, se poi puntualmente finisce che si vota il provvedimento tout court o si presentano metodicamente emendamenti in Aula senza cercare le mediazioni necessarie per farli approvare. L’implosione dell’Expo di Milano dovrebbe far comprendere agli elettori del Movimento Cinque Stelle che non basta mettere sulle poltrone del potere delle persone ‘oneste e affidabili’, se non sono anche ‘esperte e competenti’, visto che parliamo di milioni e miliardi per infrastrutture di interesse nazionale dove ‘il tempo è denaro’. Nessun paese europeo – basta sfogliare i curriculum di politici e amministratori di altri paesi europei – si sogna lontanamente di porre come ministro, sottosegretario, assessore di uno specifico ambito qualcuno che, seppur giovane, non abbia già notorie competenze. L’Italia ha già pagato il pegno del ‘nuovo che avanza’ con commercialisti ed avvocati assurti a ministro in un battibaleno, ritrovandosi a casse vuote e con un sistema giuridico ‘desemplificato’ e – talvolta – incostituzionale. Finora, gran parte della rete non ha aderito al progetto di Beppe Grillo e, probabilmente, non lo ha fatto per il semplie motivo di non essere invitati ad un dibattito paritetico, come si usa tra internauti. Iniziare a linkare articoli e log che non appartengano al movimento già sarebbe un gran passo avanti, oltre che un segnale chiaro di pluralità. Allo stesso modo, il voler controllare a tutti i costi l’informazione ‘M5S certified’ sul portale di Grillo e Casaleggio e la possibilità data dell’@democracy di consultare ‘la base’ solo su microtematiche ha tenuto lontani i ‘tecnici’, che sanno bene come la ‘realtà delle cose’ sia molto più articolata e fragile di quanto suppongano tante semplicistiche formule: le profonde carenze nel programma M5S in fatto di economia, istruzione, università, sanità e giustizia vanno superate al più presto, fosse solo per iniziare a digerire l’amara pillola di tutti i partiti politici, ovvero che non sempre le soluzioni giuste sono gradite alla base elettorale e viceversa. Riuscirà il Movimento Cinque Stelle a cogliere il momento storico e rendendosi umile e partecipativo, oltre che dotandosi di volti e voci ulteriori a quella di Beppe Grillo, piuttosto che continuare a professare l’idea – discutibilissima in democrazia – di arrivare al governo con la maggioranza assoluta? A Milano è in corso un blitz con almeno sette gli ordini di cattura ‘eccellenti’ con l’accusa di associazione per delinquere e turbativa d’asta in appalti pilotati, tra cui anche alcuni dell’Expo. In prima fila il top manager Expo, Angelo Paris di 48 anni, il top manager di Expo, per gli appalti riguarda le case per le delegazioni straniere ed i discussi progetti sulle ‘Vie d’acqua’ e sulla ‘Città della salute’. Ma accanto a lui – associati a delinquere, secondo gli ordini di cattura – troviamo due nomi eccellenti di quell’altra associazione a delinquere che fu portata in luce dallo scandalo Tangentopoli, seguito dall’l’inchiesta Mani Pulite, mai del tutto esauritasi. Ricordiamo che l’inchiesta Mani Pulite riguardava una prassi consolidata di tangenti per finaziare i partiti e di ‘creazione di posti di lavoro’ per assicurare il consenso. Le indagini travolsero letteralmente i partiti minori, il PSI di Bettino Craxi e la leadership nazionale della DC, mentre quelle inerenti il Partito Comunista si arrestarono dinanzi al silenzio di Primo Greganti, un ex operaio Fiat divenuto collaboratore dell’amministrazione della Direzione Nazionale del PCI. “E mentre i vertici della Quercia denunciavano una «strategia della tensione», ecco che il procuratore aggiunto Gerardo D’Ambrosio condusse una sua personale indagine non per incolpare bensì per scagionare Primo Greganti: si era collegato con l’anagrafe tributaria e aveva concluso che neanche una lira era giunta al Pds. Il 29 ottobre 1991, nel giorno in cui Greganti prelevava una consistente somma a Lugano – spiegò – lo stesso firmava anche il rogito per comprare una casa, ecco dunque a prova che quei soldi non erano finiti a Botteghe Oscure. Come riportato da Leggo, per la sua morte avvenuta alcune settimane fa, D’Ambrosio si era ricreduto sulla completa emersione del filone d’inchiesta: «Tra il ’92 e il ’94 siamo stati ingenui. Pensavamo che ottenere 1408 condanne definitive per tangenti bastasse a dare un colpo decisivo alla corruzione. Invece quando abbiamo toccato interessi più forti, ci hanno cambiato le leggi». Tra l’altro, i Democratici di Sinistra confluiranno nel 2008 nel Partito Democratico della Sinistra di cui faceva parte anche quel senatore Luigi Lusi, che – conclusa l’esperienza con La Margherita di Rutelli e passato ad altro partito – veniva accusato e condannato (patteggiamento) per aver sottratto, in virtù del suo incarico di tesoriere del partito in scioglimento, i soldi dei sostanziosi rimborsi elettorali che continuavano a pervenire e creando una contabilità parallela. Sarà un caso, ma Luigi Luzi, nella XV legislatura per L’Ulivo, è stato anche Segretario della Giunta per le elezioni e le immunità parlamentari, membro della Commissione Bilancio, del Comitato parlamentare per i procedimenti di accusa, della Commissione per la vigilanza sulla cassa depositi e prestiti e del Consiglio di garanzia. Come anche, nella sua seconda legisltura dal 2008 al 2012, è stato Vicepresidente della Commimissione Bilancio del Senato, membro della Giunta per le elezioni e le immunità parlamentari, del Comitato parlamentare per i procedimenti di accusa. Eravamo in buone mani, non c’è che dire. Mani Pulite si era conclusa – evidentemente con troppo ottimismo – ma Tangentopoli continuava. Ecco anche spiegate le ‘intemperanze’ degli altri ex magistrati del Pool passati alla politica: Antonio Di Pietro e Tiziana Parenti. Per Gianstefano Frigerio, la sua carriera politica – dal 1974 al 1976 è stato segretario provinciale della federazione della Democrazia Cristiana, nel 1987 diviene segretario regionale per la Lombardia – si arresta (ndr. nel senso letterale) nel 1992 con la prima misura di custodia cautelare per tre mesi per tangenti, tra cui quella ricevuta da Paolo Berlusconi 150 milioni di lire per favorire la Fininvest nella gestione della discarica di Cerro Maggiore, cosa da lui ammessa ma solo come intermediario. Wikipedia riporta che “nella stessa causa viene anche ritenuto dal Giudice responsabile di una concussione per un miliardo di lire verso un rivale di partito“, come anche che, mentre era da stabilirsi il cumulo della pena, partecipa alle elezioni politiche del 2001, risultando eletto in una lista proporzionale di Forza Italia in Puglia alla Camera dei deputati, con il nome di Carlo Frigerio. Tra un cavillo e l’altro, ottiene l’affidamento in prova ai servizi sociali, che gli permetteva di recarsi in Parlamento quattro volte al mese e nel 2004 la Giunta delle elezioni della Camera ratificò l’estinzione della pena ed ogni altro effetto penale, tra cui l’interdizione legale per cinque anni. Durante questo periodo mantenne il seggio di deputato ricevette regolarmente la sua indennità parlamentare. 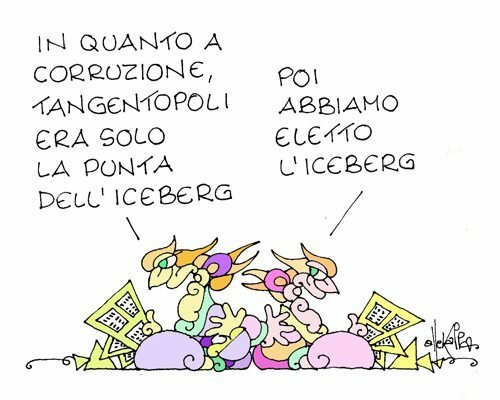 Il Corriere della sera riporta – oggi, non 20 anni fa – che “in questo centro culturale, di cui è presidente uno degli arrestati, Gianstefano Frigerio, come ha spiegato il pm Claudio Gittardi, «si tenevano riunioni giornaliere a cui partecipavano direttori generali di aziende ospedaliere, imprenditori, personaggi di rilievo politico». Naturalmente, alla luce delle notizie di oggi, c’è da chiedersi come sia possibile che Primo Greganti e Gianstefano Frigerio fossero ancora in politica, ma sono anche altre le domande che sorgono spontanee. Se Primo Greganti e Gianstefano Frigerio compaiono ancora in prima fila per inchieste del calibro dell’Expo, è lecito dubitare dell’esaustività dell’inchiesta Mani Pulite? Possiamo ragionevolmente supporre che, finite le inchieste, Tangentopoli sia ripresa come e più di prima? Quale credibilità può essere ancora data al notoriamente ‘distratto’ sistema dei media italiani (a partire dalla televisione di Stato), se – salvo Facci e pochi altri – nessuno in vent’anni ha denunciato all’opinione pubblica che Greganti, Frigerio e tanti come loro hanno potuto liberamente e lautamente operare sotto la bandiera di qualche interessato partito, mentre le loro ‘candidature’ avrebbero dovuto essere fuori discussione dopo le condanne ricevute? “una illimitata compressione della rappresentatività dell’assemblea parlamentare, incompatibile con i principi costituzionali in base ai quali le assemblee parlamentari sono sedi esclusive della «rappresentanza politica nazionale» (art. 67 Cost. ), si fondano sull’espressione del voto e quindi della sovranità popolare”. L’Italicum – proposto da Renzi e ‘benedetto’ da Berlusconi – soddisfa a pieno solo i primi quattro requisiti, mettendo fine sia alle maggioranze oceaniche della Camera sia alla roulette russa del Senato, che federale (ancora) non è. Riguardo gli ultimi due, sarà da vedere. Negare agli elettori le ‘preferenze’ equivale a “privare l’elettore di ogni margine di scelta dei propri rappresentanti, scelta che è totalmente rimessa ai partiti”. Un premio a chi si coalizza e supera il 35% dei voti potrebbe rivelarsi “una eccessiva compressione della rappresentatività dell’assemblea parlamentare”. Dunque, non c’è da meravigliarsi se l’accordo per la legge elettorale venga aggregato tra due leader di partito e non in Parlamento, ovvero dove dovuto, e on si pone rimedio a “l’incentivo implicito nel porcellum a dar vita a coalizioni disomogenee pur di vincere il premio e, passate le elezioni, alla frammentazione partitica”, come commenta Federico Punzi (blogger dal 2003). Infatti, quello che preoccupa nell’Italicum – oltre all’esclusione delle preferenze e ad un Senato tutto da capire – è anche altro. L’esito di un ballottaggio dal quale esca una premiership forte senza una maggioranza almeno sufficiente, ad esempio. Ma , soprattutto, preoccupa – in termini di compressione della rappresentatività – l’ipotesi che alla Camera vi sia una ‘circoscrizione locale’ (ndr. distretto elettorale) per ogni provincia, ‘equiparando’ quella che ha 200.000 residenti a quella che ne ha 400.000 o quasi un milione, mentre ve ne saranno di più – ma non quanto ‘di più’ – nelle aree metropolitane. Buon senso e logica ci dicono che con una Camera di 630 eletti e 38 milioni di ammessi al voto, viene eletto un onorevole ogni 60.000 elettori. Dunque, chi vive in provincia di Fermo o di Rieti dovrebbe poter eleggere 2-3 deputati, chi è a Caserta o a Varese i suoi dieci-dodici e così via nelle grandi province urbane, dove gli eletti saranno tra i 35 ed i 50. E, almeno, il buon senso ci dice anche che i candidati delle aree demograficamente più dense dovrebbero avere pari opportunità di raccogliere il consenso elettorale che gli serve per essere eletti. L’impressione che l’Italicum serva solo a gestire una transizione interna alla Partitocrazia – come la denominò tanti anni fa Marco Pannella – che oggi chiamiamo Casta, come strilla Beppe Grillo, e che qualcuno – già nel Dopoguerra – denominò ‘Catto-comunismo’. Scriveva Riccardo Lombardi, a nome del Partito d’Azione, su ‘L’Europeo’ del primo dicembre 1946: “vediamo cosa avviene nella Repubblica Presidenziale ove, e’ bene ricordarlo il Presidente della Repubblica e’ nello stesso tempo capo del governo e viene eletto a suffragio universale anziche’ eletto in secondo grado dalla Camera dei Deputati (cioe’ dai partiti): gia’ in sede di elezioni il candidato alla Presidenza della Repubblica, appunto perche’ sara’ anche capo di un governo, e’ costretto a presentarsi con un programma di governo: il compromesso programmatico non avverra’ tra i diversi candidati alla presidenza e dopo le elezioni […] dunque il compromesso avverra’ prima delle elezioni, fra alcuni partiti che […] si accorderanno per la candidatura di un uomo a cui sara’ affidato un programma concordato”. Già … cambiar tutto per non cambiar niente … come parlare di legge elettorale senza parlare anche di repubblica presidenziale e … di par conditio mediatica sulle reti di Stato? Porcellum incostituzionale. Quale parlamento con il proporzionale? La Legge Calderoli, comunemente chiamata Porcellum, è incostituzionale. “La Corte Costituzionale ha dichiarato l’illegittimità costituzionale delle norme della legge n. 270/2005 che prevedono l’assegnazione di un premio di maggioranza (sia per la Camera dei Deputati che per il Senato della Repubblica) alla lista o alla coalizione di liste che abbiano ottenuto il maggior numero di voti e che non abbiano conseguito, almeno, alla Camera, 340 seggi e, al Senato, il 55% dei seggi assegnati a ciascuna Regione. La Corte ha altresì dichiarato l’illegittimità costituzionale delle norme che stabiliscono la presentazione di liste elettorali ‘bloccate’, nella parte in cui non consentono all’elettore di esprimere una preferenza”. Dal 2006 gli italiani (sempre meno a dire il vero) sono andati a votare con una legge che gli impediva di scegliere i candidati e che dava un notevole ‘premio’ di seggi a chi, per una spanna, superava gli altri. Nel 2006 abbiamo avuto un’Unione (Prodi) con 67 seggi in più della Casa della Libertà (Berlusconi), ma il divario era di solo 150.000 voti (0,5%). 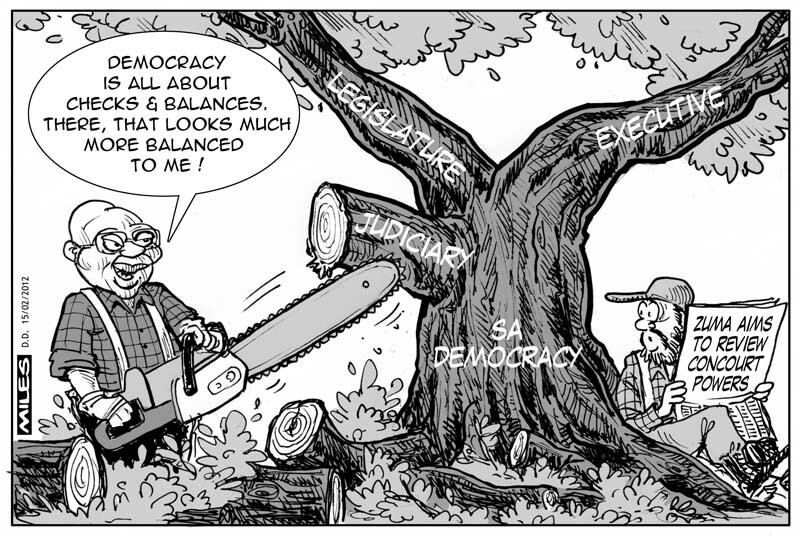 Nel 2008, al Senato, 1,5 milioni di voti ‘regalavano al Popolo della Libertà una superiorità di ben 25 seggi sul Partito Democratico, ma più o meno gli stessi voti – presi dall’Italia dei Valori – coincidevano a 14 seggi, mentre – se presi dal’Unione Democratica di Centro non coalizzata con nessuno – accadeva addirittura che 1,85 milioni di voti corrispondessero a soli 5 seggi. 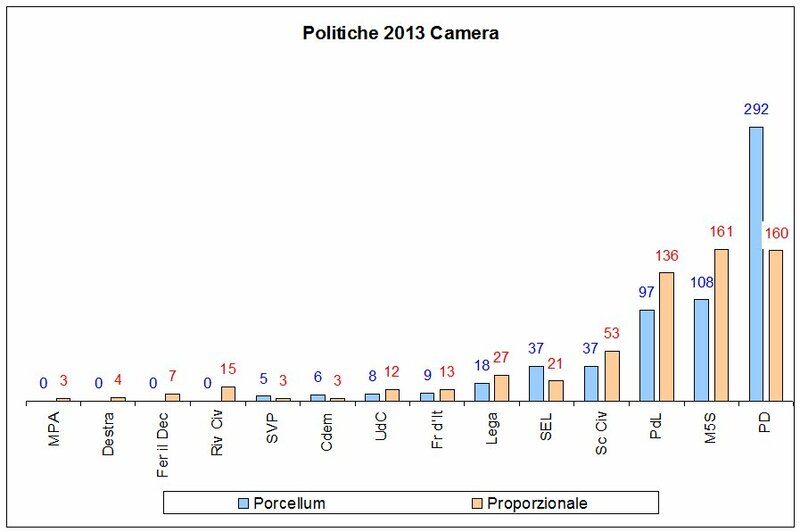 Nel 2013, alla Camera, il Partito Democratico e il Movimento Cinque Stelle raccolgono ambedue 8,6 milioni di voti, ma al primo vanno 292 seggi e al secondo solo 108.
nel 2013, al Senato, il M5S avrebbe ottenuto ben 20 seggi in più, mentre alla Camera SEL (3,2%) avrebbe occupato 20 seggi anzichè 37 che sono tanti quanti quelli di Scelta Civica (8,3), che però di voti ne ha raccolti quasi il triplo. Parliamo di circa 15 deputati che invece di SEL avrebbero rappresentato Rivoluzione Civile, l’UdC e Scelta Civica con 20 seggi in più, sette altri per Fermare il Declino con una cinquantina di eletti ulteriori per il Movimento Cinque Stelle e una quarantina per il Popolo della Libertà. E parleremmo di 132 deputati del Partito Democratico in meno, praticamente la metà, con tanta provincia e bassa macelleria che sarebbe rimasta a casa. Magari, alla ricerca di un lavoro. Un altro parlamento con una ‘reale’ rappresentatività, ma visibilmente ingovernabile. Ingovernabile perchè l’Italia ed il sistema proporzionale lo sono ‘di per se’? Od ingovernabile perchè il Porcellum – regalando maggioranze virtuali e impedendo di scegliere i candidati – ha allontanato dalle urne quasi venti dei 50 milioni di lettori italiani, alterando irrimediabilmente gli esiti elettorali e, soprattutto, la loro futura prevedibilità? E quanto potrà andare avanti il governo Letta con una maggioranza alla Camera che non avrebbe luogo di essere, neanche con la ‘larga intesa’ con il PdL?